Looking for that perfect used car near Parkersburg? 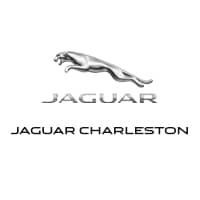 When you choose a pre-owned vehicle from Jaguar Charleston, you can trust that you’ll be getting a vehicle of the utmost quality. Better yet, we have a variety of used car specials available so you can feel good about what you choose to drive home to Wheeling. After you’ve taken a look at our Jaguar pre-owned vehicle specials online, be sure to talk with our financing department to discuss payment options! We look forward to getting you behind the wheel of a pre-owned car you’re excited about for a price you’ll love. Want to make your vehicle even friendlier on your wallet? Consider trading in your vehicle to ease your purchase price. Once you take a look at our budget-friendly used vehicles, be sure to pay us a visit whenever you’re ready to take your favorite used model for a spin. If you have any questions along the way, feel free to contact us to learn more about our used vehicle inventory! In the meantime, keep an eye out for used vehicle specials on Jaguar models and a variety of other makes.